My posts have been few and far between lately. I can’t explain it. I’m busy, I spend too much time on the computer already, I have other things I want to do, blah blah blah. The thing is, I still cook every weekend and make the food I plan on posting. I just don’t get around to writing up these posts. Honestly, my life is boring lately. I don’t really have anything to say. My life consists of work, cooking, eating and doing puzzles. Oh, and trying to get in a daily workout. But who wants to hear about all of that? It’s life after all and we all have one. Not to mention that I’ve been struggling with what to make lately. I’m trying to eat healthy and make food that is easy to portion out. Because I am one of those people who will have just one more bite, okay one more spoonful, okay one more helping. Portion control for me is key. 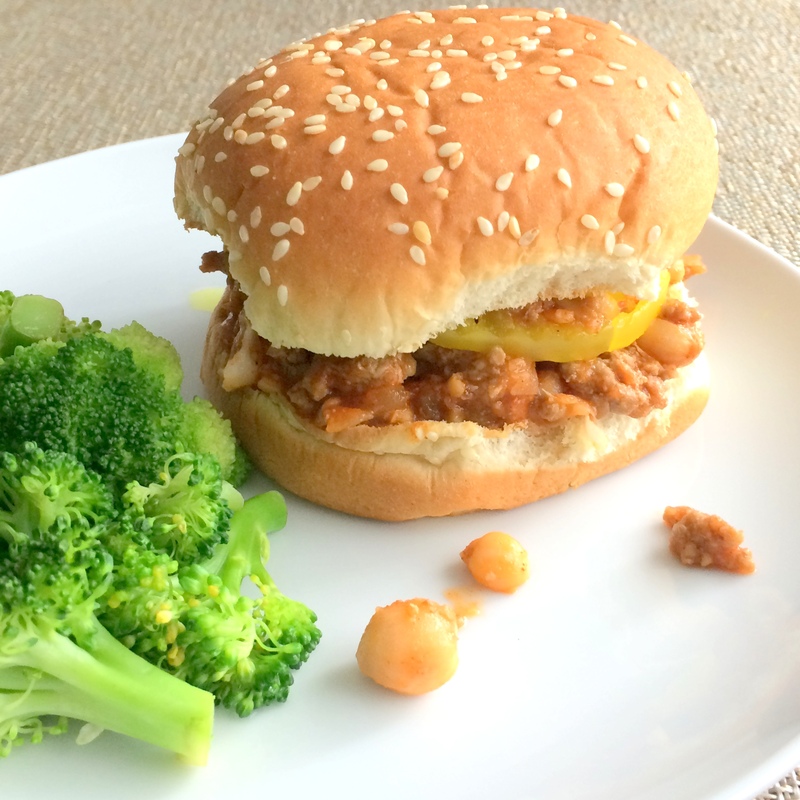 These Lighter Sloppy Joes are a good dish to portion out so they make for a quick go-to lunch or dinner. 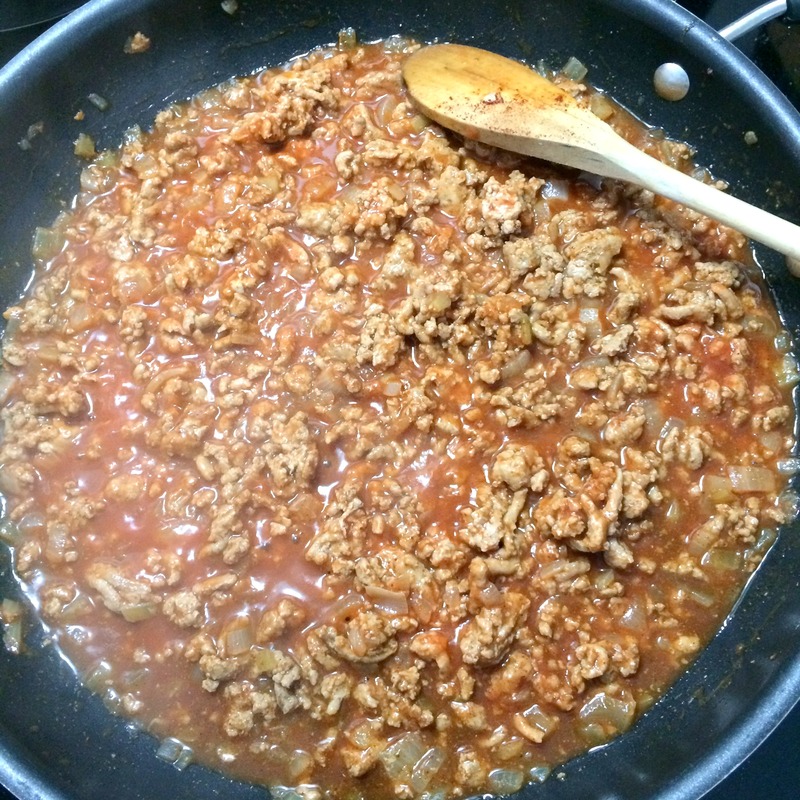 Ground turkey is cooked with onion and spices before settling into a smooth tomato sauce. Mashed up chickpeas are added to the mixture which gives an additional nutritious boost that blends right in. 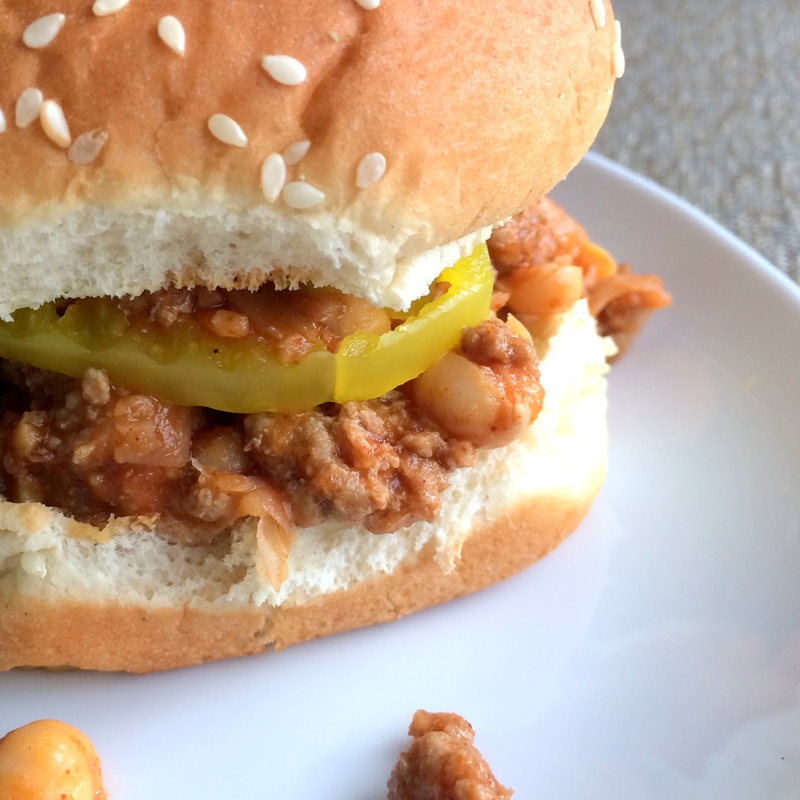 I’ve been pretty into sloppy joes lately and this unique kind is a new favorite. I’m a firm believer in the benefits of beans so this sandwich is a winner in my book. I topped this with some spicy banana peppers instead of pickles and now I’m hooked. I may never go back to regular pickles again. Especially on my sloppy joes. Heat a large skillet over medium-high heat. Add oil to pan; swirl to coat. 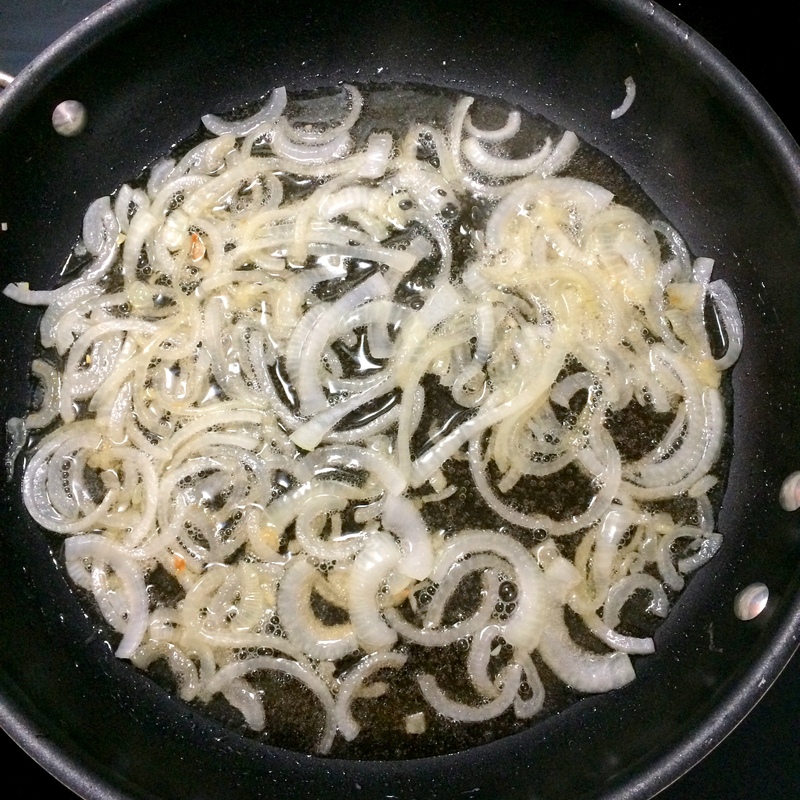 Add onion; sauté 4 minutes or until almost tender. Add turkey; cook until browned and no longer pink, stirring to crumble. Stir in chili powder, sugar, and salt; cook 1 minute, stirring constantly. Add 1/4 cup water and tomato sauce; reduce heat, and simmer 2 minutes or until thickened. 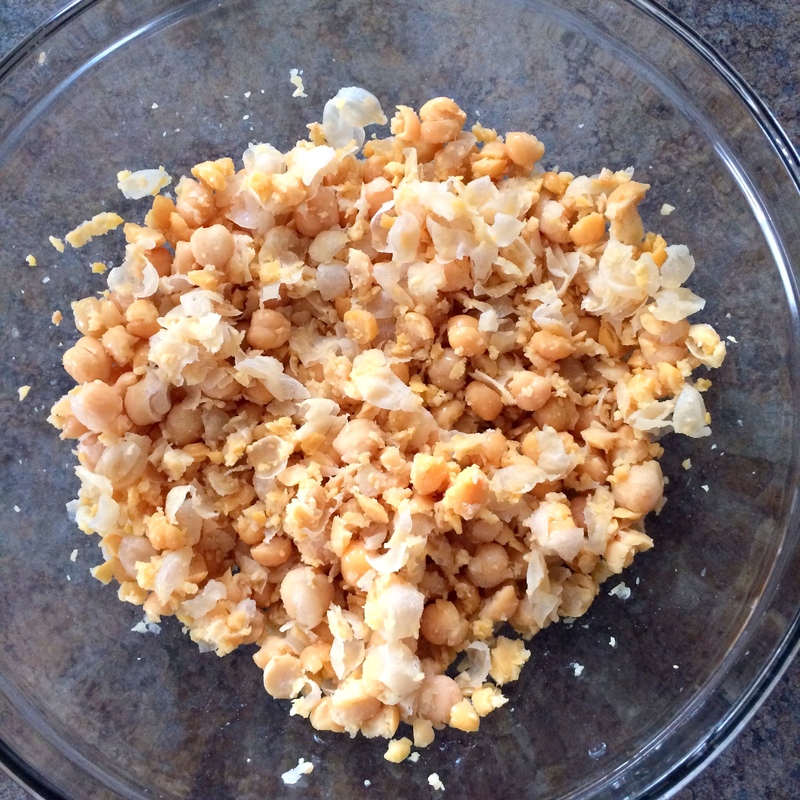 Place chickpeas in a bowl; partially mash with a fork or potato masher. 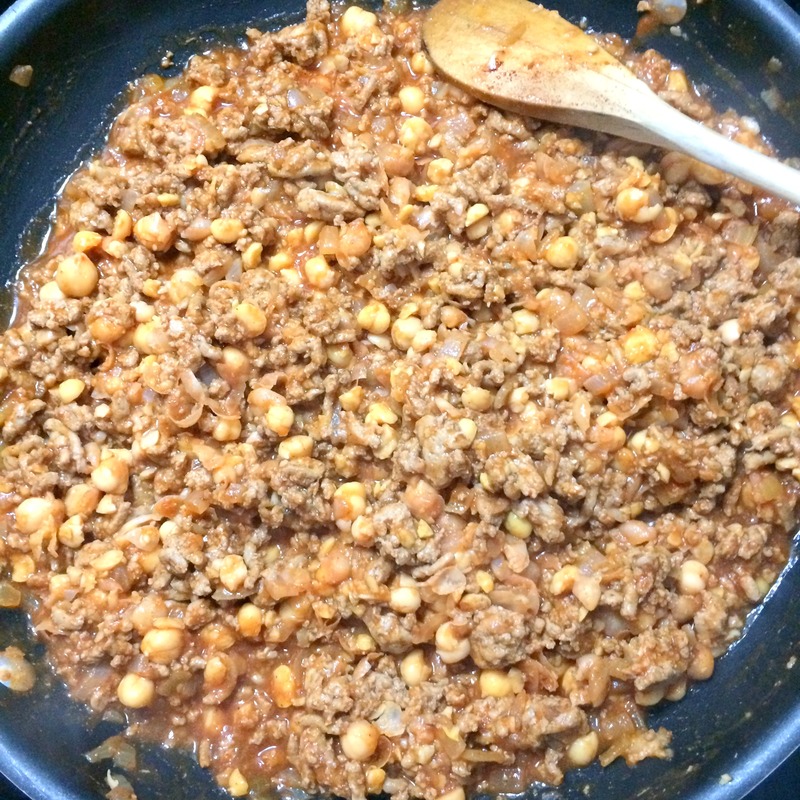 Stir chickpeas into turkey mixture. Spoon about 1/2 cup turkey mixture onto bottom half of each bun; top each with pickles or banana peppers and top half of bun. Thanks to those of you who keep checking in and I’m sorry I’ve been slacking on the posts! Last week I was recovering from food poisoning and the week before that I was in Buenos Aires for work. This week – I have no excuses. I’ve been on vacation all week, laying by the lake just north of Chicago and getting in a lot of rest, relaxation and exercise. Since I’m not home, I haven’t been cooking like I normally would on my days off but I have a few recipes stashed away that I’ve made for times like this when I haven’t been cooking. 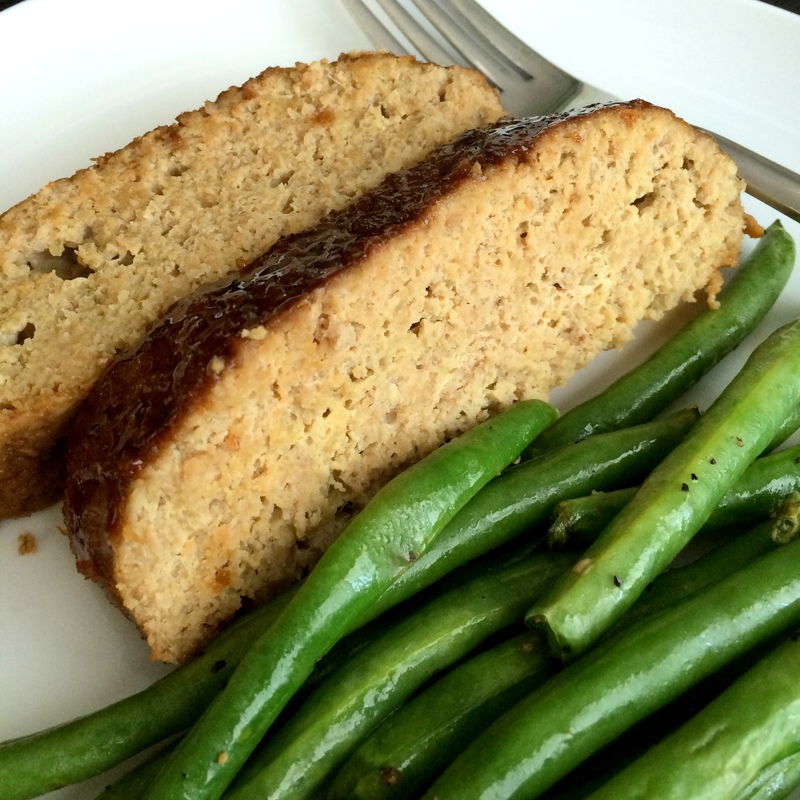 One of my favorites I’ve made recently is this Teriyaki Meat Loaf. 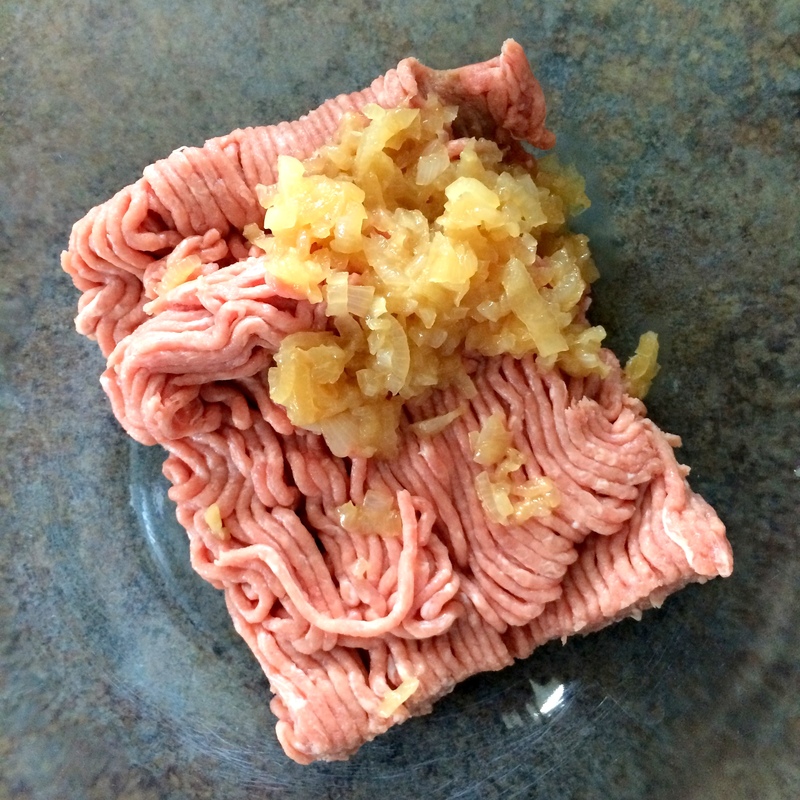 Ground meat (the recipe calls for beef; I used turkey) is jolted with flavors of ginger, garlic, soy sauce, and sesame oil before being bathed in a little teriyaki sauce. 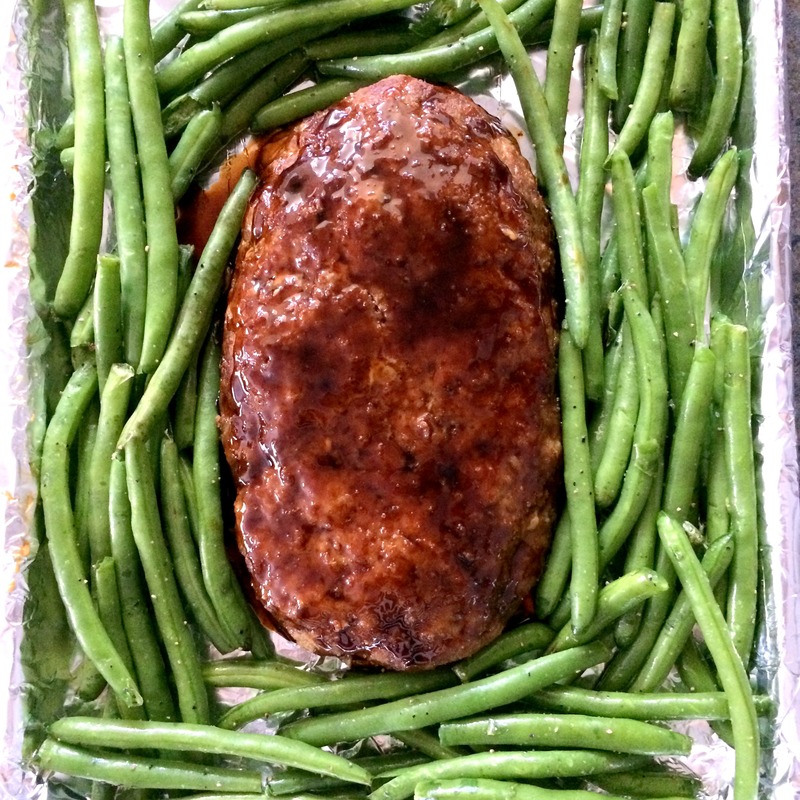 After a first trip to the oven (since I used turkey, I cooked it for 40 minutes here), more teriyaki sauce is added and the meatloaf is surrounded with crisp green beans. Another 20 minutes in the often and the entire meal is done. 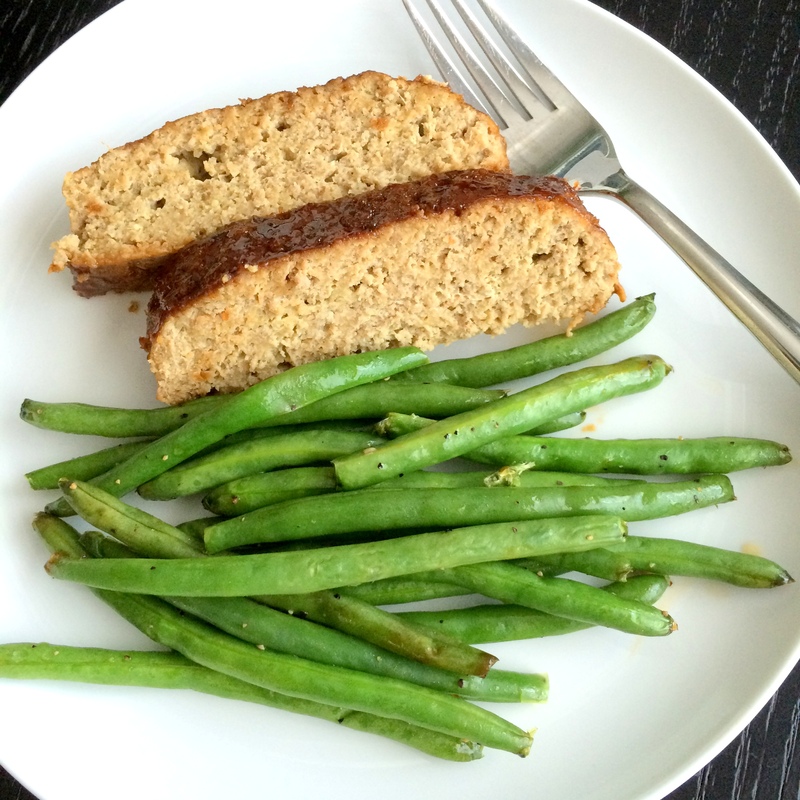 This meatloaf is packed with salty sweet flavor and the green beans are perfect sidekicks. This meal was a hit for me, despite popping my jaw out of socket when eating a green bean, but I digress. I just might have to make this again when I get back home. 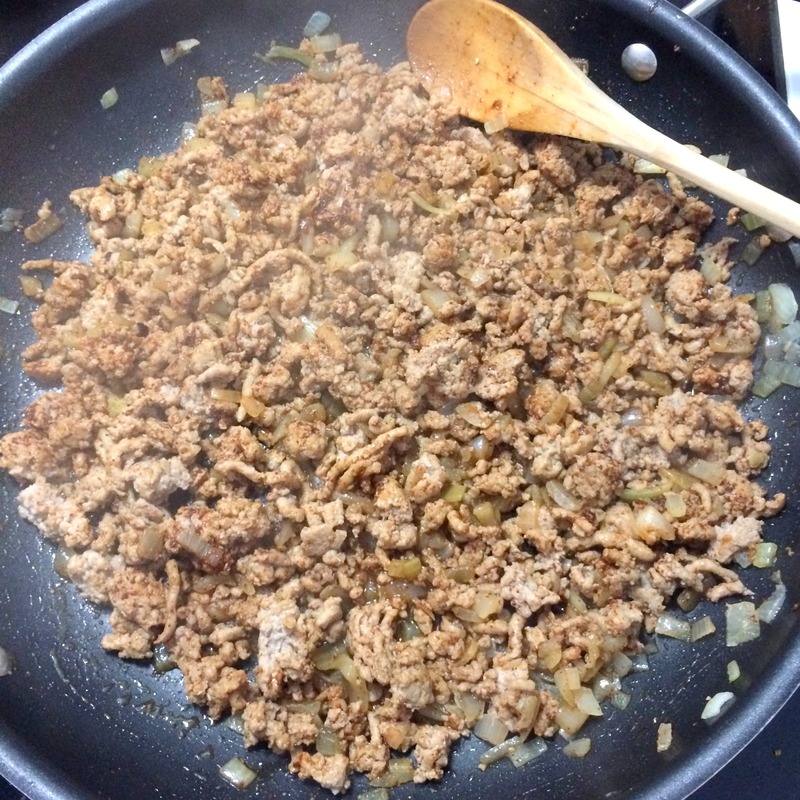 In bowl, combine meat, egg, breadcrumbs, ginger, garlic, soy sauce and 1/2 tsp. oil. On foil-lined baking sheet, shape into loaf. 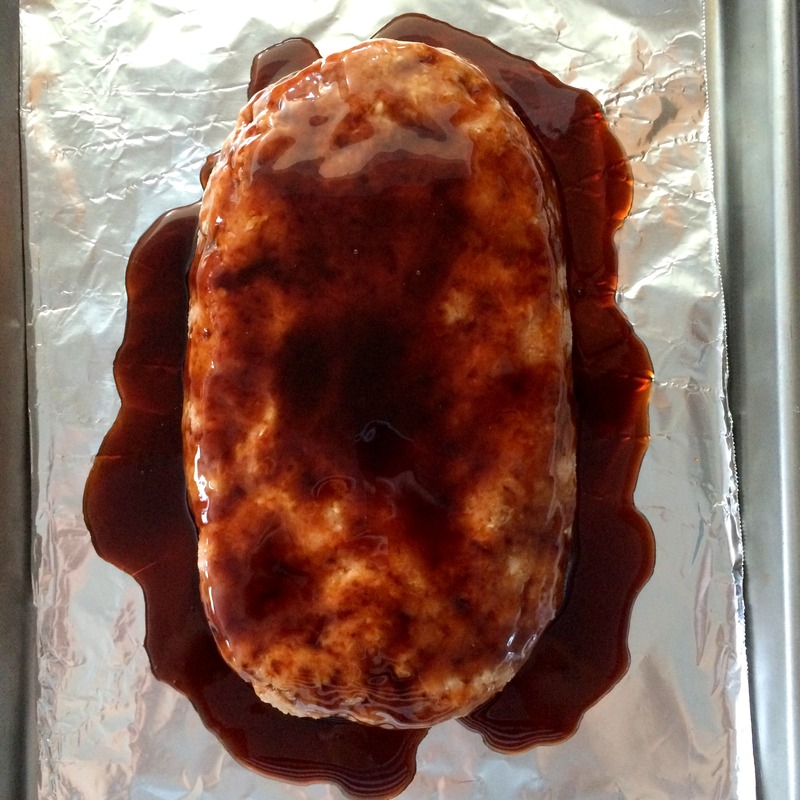 Drizzle with half the teriyaki sauce and bake at 375 degrees 20 minutes for beef, 40 minutes for turkey. 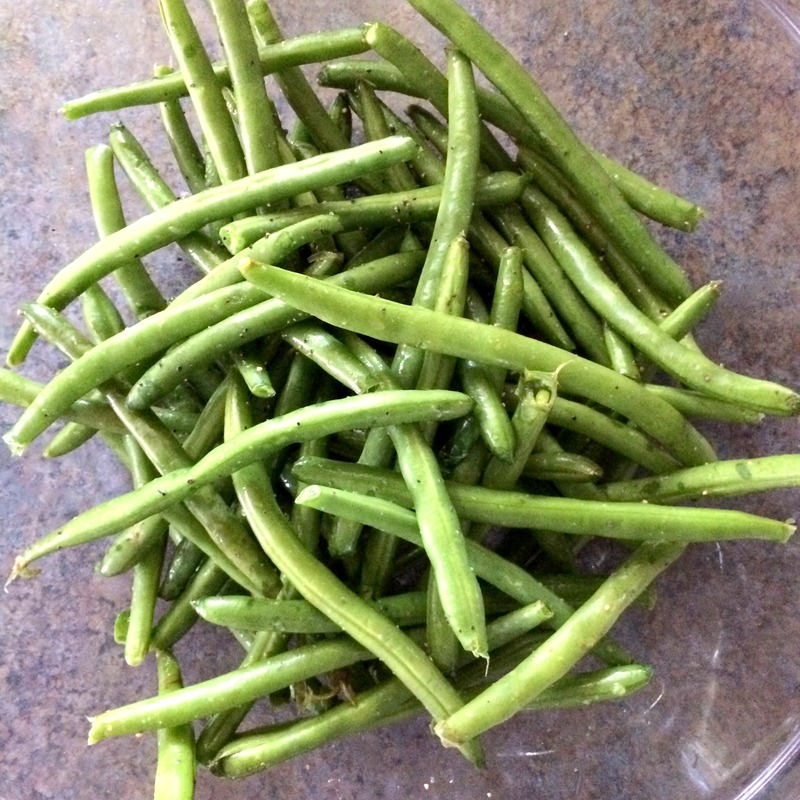 In bowl, toss beans with remaining oil; season. 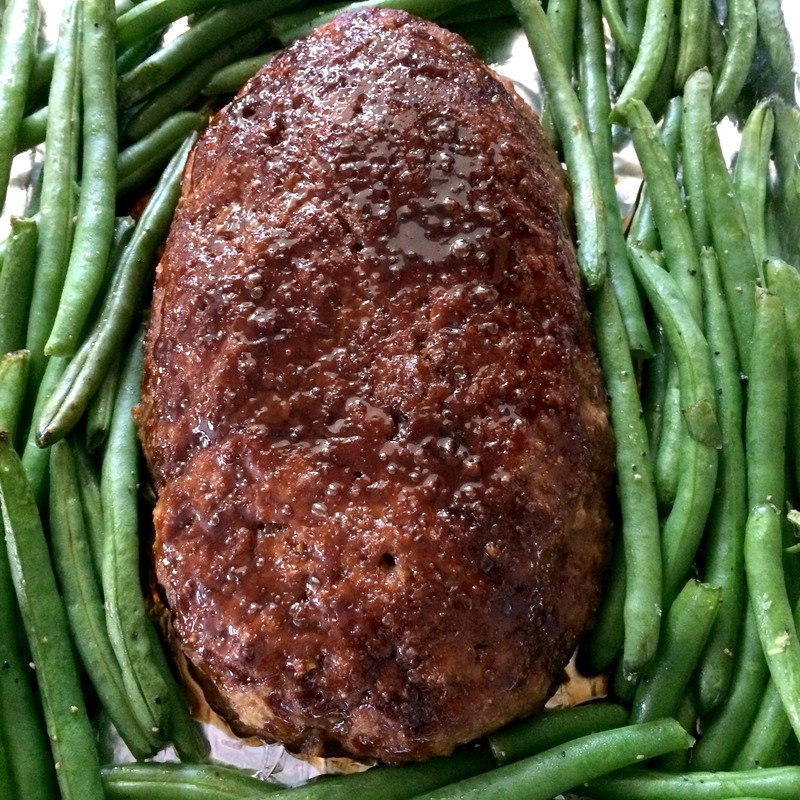 Top meat loaf with remaining teriyaki sauce and surround with beans. Bake until meat loaf edges are browned and beans are tender, 20 minutes. 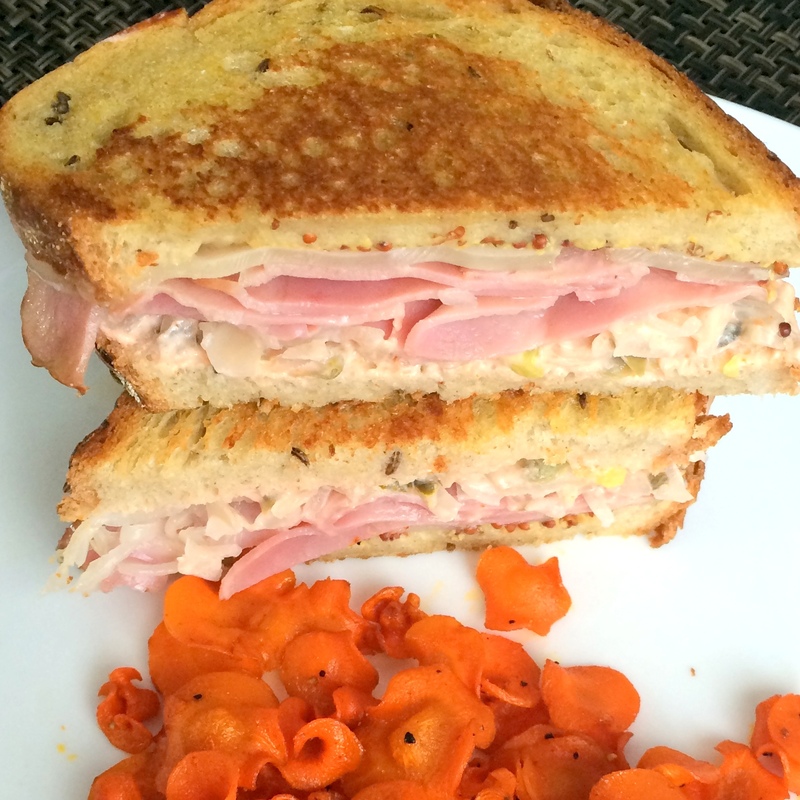 Who knew there was such a thing as turkey pastrami? Had I known this, I might have been trying to make Reubens a long time ago! There used to be a restaurant near me that served Rachaels – basically a Reuben but with turkey and coleslaw instead of pastrami and sauerkraut. It was my favorite sandwich there. 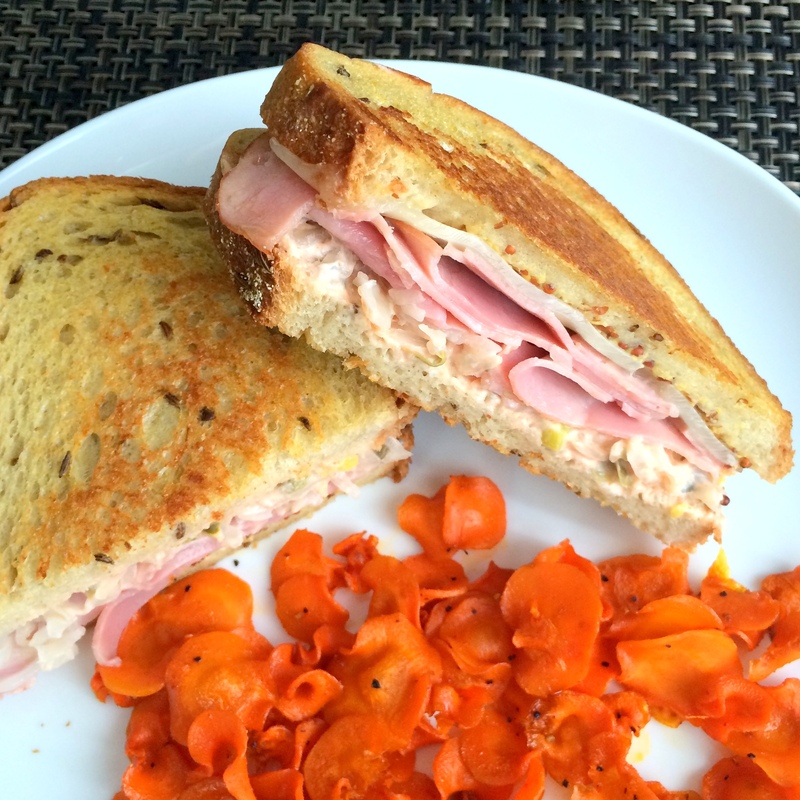 I saw this recipe for Slim Turkey Reubens and knew immediately I needed to try to make it. I was a little worried about the sauerkraut since I’m not a fan but figured I’d give it a go. You never know, right? Turkey pastrami, reduced-fat Swiss cheese, and sauerkraut is sandwiched between rye bread which is slathered with whole-grain mustard on one side and a yogurt-based Russian dressing on the other. 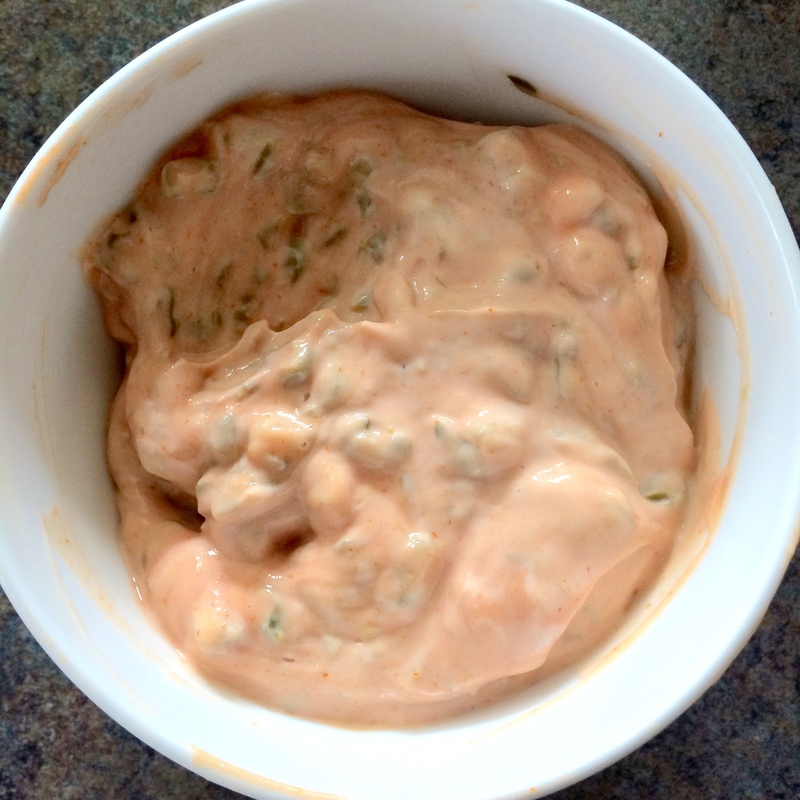 The Russian dressing, made with yogurt, ketchup, pickles, and capers, was so flavorful and not at all tangy as Greek yogurt can be. Not being a sauerkraut or capers fan, I was a little skeptical. But I have to say, this sandwich ROCKS! 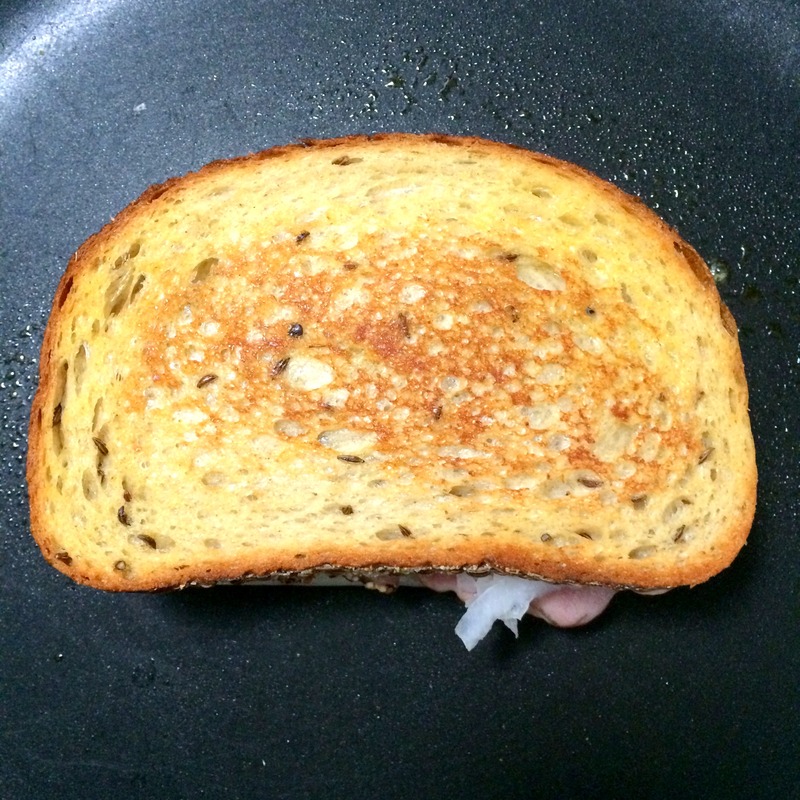 And who knew that cooking spray could create such a beautifully golden toasted goodness? There are so many different flavors going on with the rye, the mustard, the sauerkraut, the cheese, the pickles, and the capers but where one might overpower a regular sandwich, all of these marry so perfectly together that it’s a perfect storm of flavor. 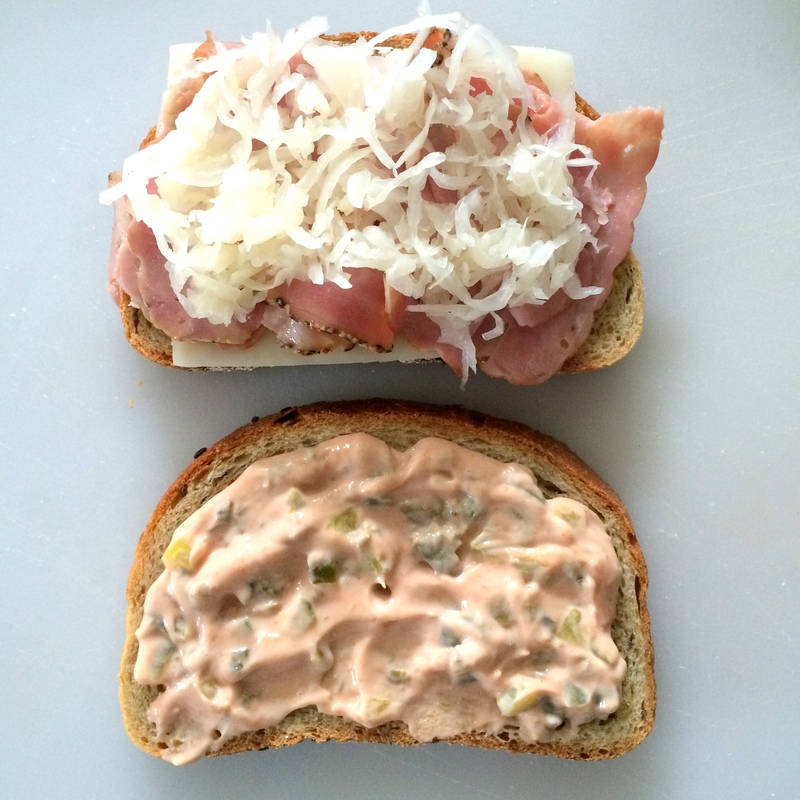 Forget about Rachaels – I’m sold on these Reubens. In a small bowl, mix the yogurt, pickles, ketchup and capers to make Russian dressing; season with salt and pepper. Spread mustard on 4 slices of bread; top with the cheese, pastrami and sauerkraut. Spread the Russian dressing on the other 4 slices of bread. Add to the sandwiches, dressing side down. Heat a large skillet or griddle pan over medium. Coat both sides of the sandwiches with cooking spray. Working in two batches, cook the sandwiches, covered, until the cheese melts and the bread is toasted, 2 to 3 minutes per side. This summer has been a struggle for me to a keep up with my blog. If I’m not traveling for work, I’m working from home and sometimes just can’t stand to be in front of my computer any longer. So, thank you for those of you who are hanging on and checking in here for my periodic posts. The thing is, I still cook and still take pictures. I’m just bad and getting the blogs written up. Every time I think maybe I should just give this whole thing up, I remember why I did it in the first place. Because I enjoy cooking, I enjoy writing and I have to eat anyway, right? Well, my typical diet this summer has basically been burgers and pizza so here is yet another burger I made: this New England Turkey Burger. 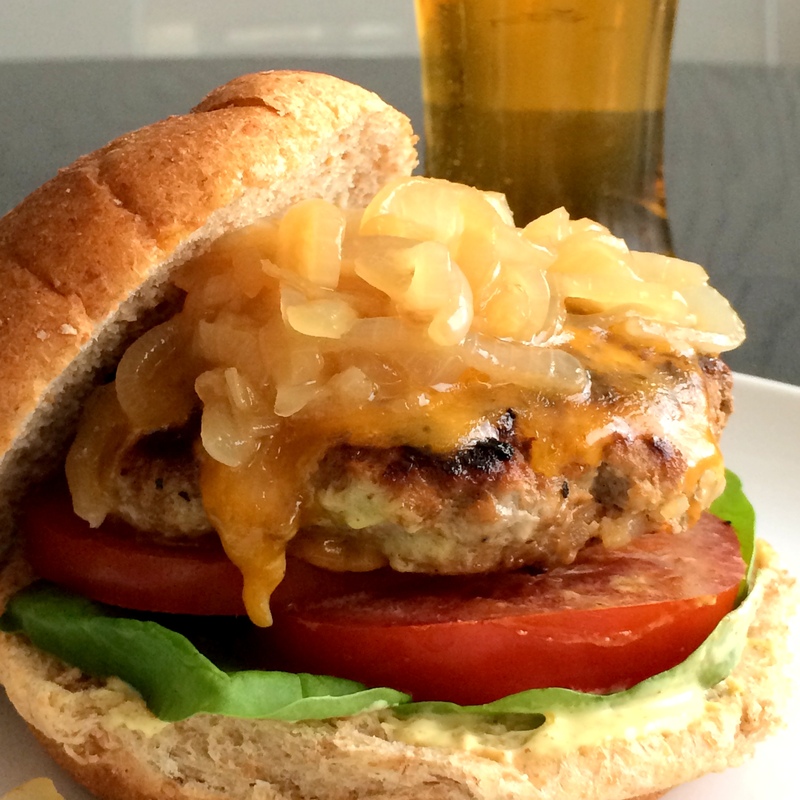 This turkey burger is flavored with beer-infused caramelized onions which help to keep the meat juicy and vibrant. I used the seasonal beer Sam Adams Porch Rocker instead of Summer Ale but any beer can be used. 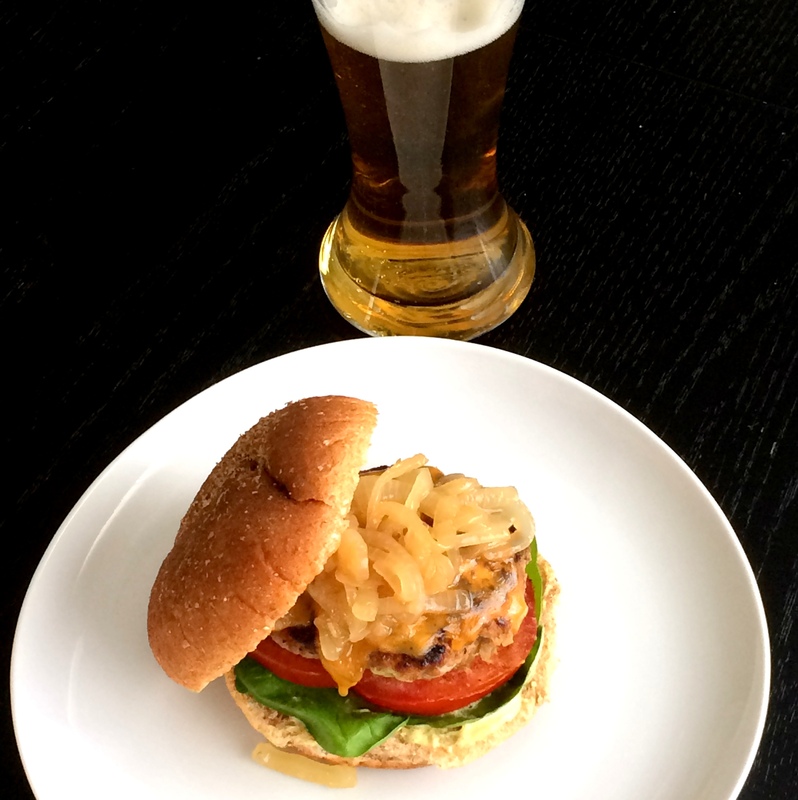 A mayonnaise-mustard spread, cheese, tomato and lettuce top this burger – oh and another big dollop of caramelized onions. For someone who absolutely hated onions as a kid, I’ve found a newfound respect for this veggie, especially when it’s softened up with some beer! So, it’s summer and it’s another burger. But isn’t that what summer is for? Heat a large skillet over medium heat. Add oil; swirl. Add onion; cook 7 minutes or until tender, stirring occasionally. Add beer; bring to a boil over medium-high heat. Reduce heat. Simmer 20 minutes or until onion is golden and liquid almost evaporates; stir occasionally. Cool. Preheat grill or pan to medium-high heat. 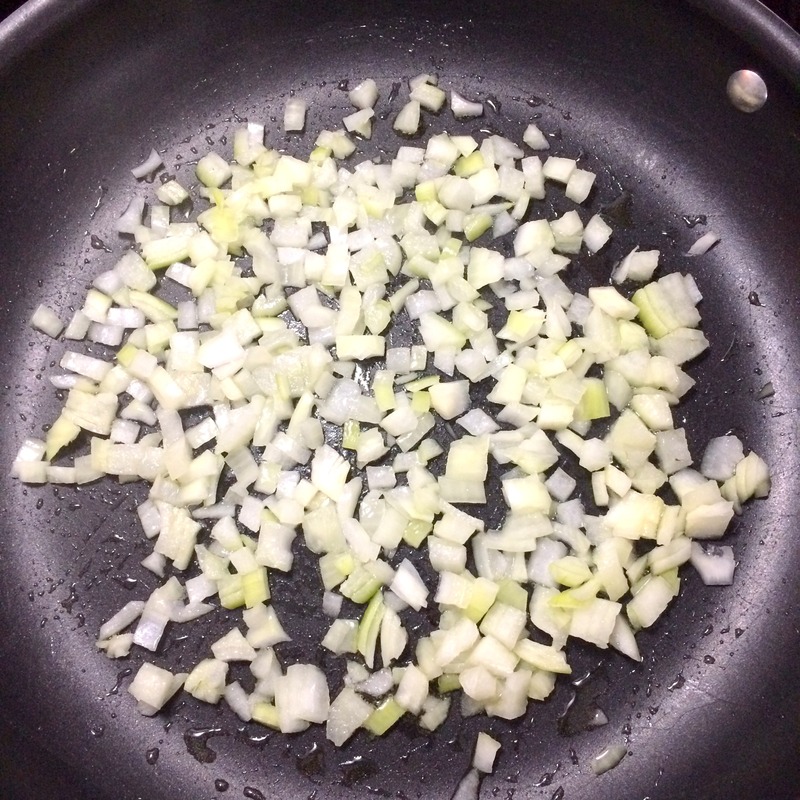 Remove 1/4 cup onion mixture from pan; finely chop. Combine chopped onion mixture and turkey. 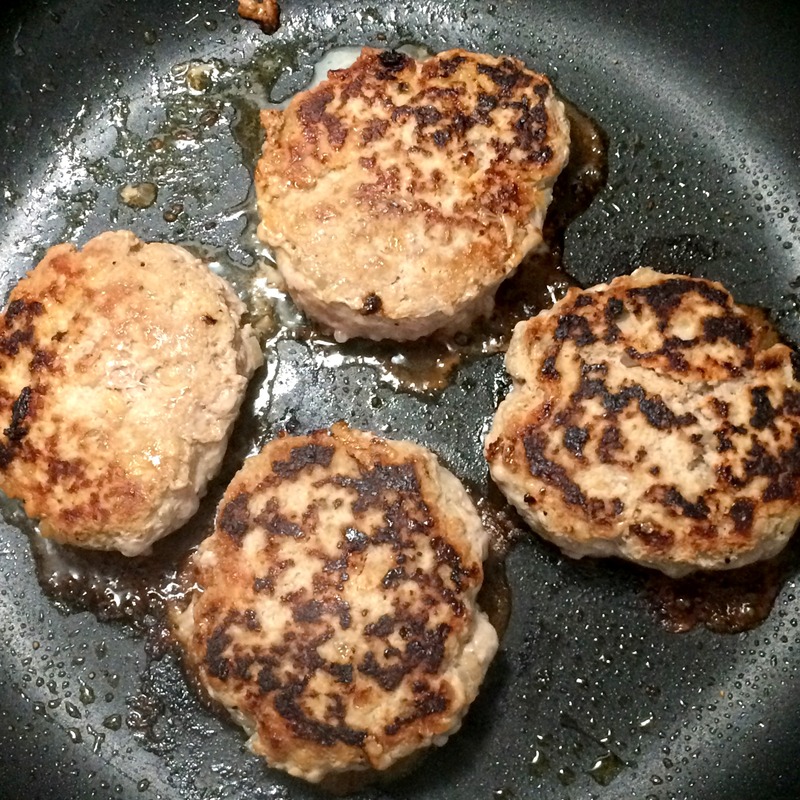 Divide mixture into 4 equal portions; gently shape each into a 1/2-inch-thick patty. 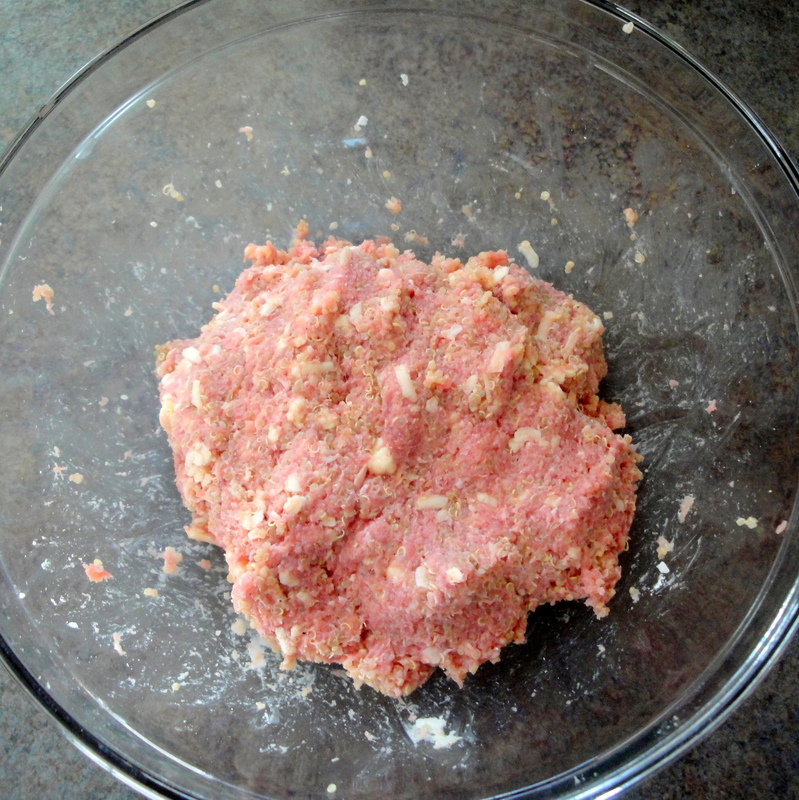 Press a nickel-sized indentation in center of each patty. Sprinkle with salt and pepper. 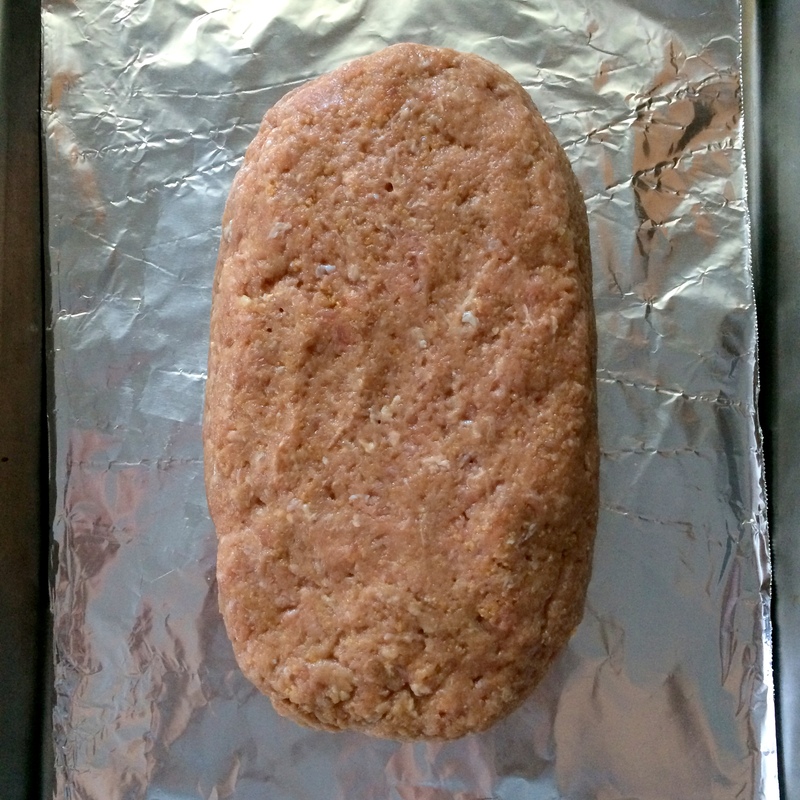 Place patties on grill rack or pan coated with cooking spray; grill 5 minutes. 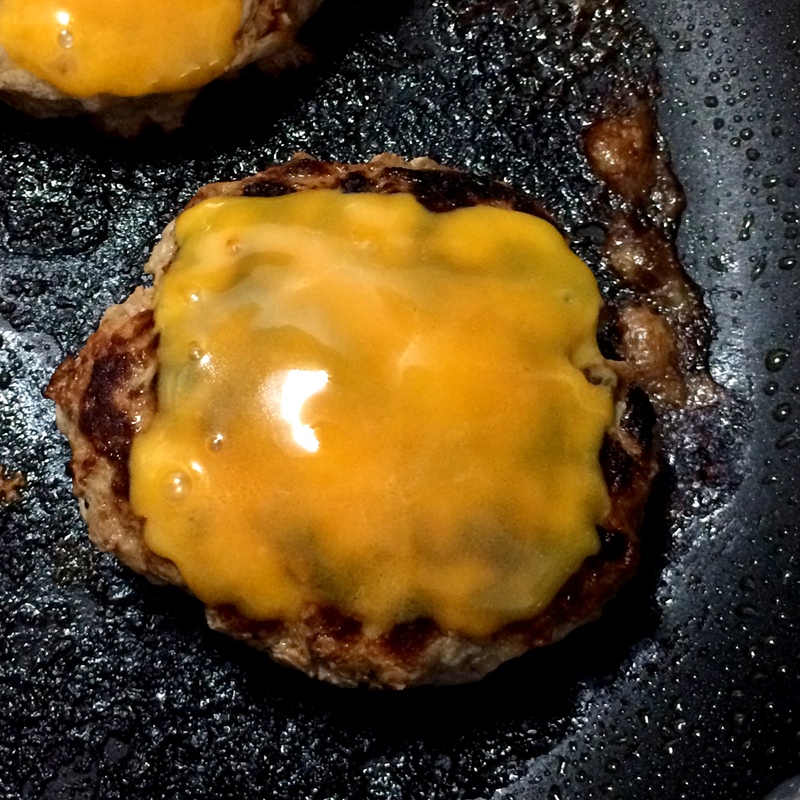 Turn patties; grill 3 minutes. Top with cheese; grill 1 minute or until cheese melts and turkey is done. Combine mayonnaise and mustard. Spread 1 1/2 teaspoons mayonnaise mixture on bottom half of each bun; top each with 1 lettuce leaf, 1 tomato slice, and 1 patty. 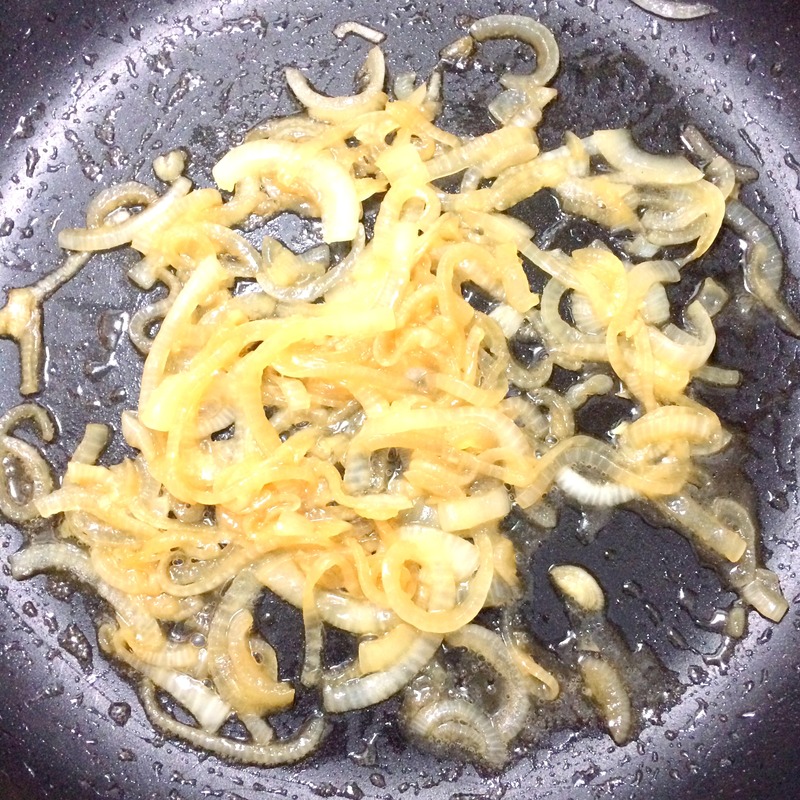 Divide onion mixture evenly among servings; top with top halves of buns. I think I’m a little bit obsessed with this chili. I’ve been eating a bowl of it every single day. And when it ran out? I made another batch. And another. All of this started because I had one lonely zucchini sitting in my produce drawer that I wanted to do something with. After taking a look around, I realized all the other vegetables I had on hand and decided right then and there to throw them all in a chili. I happened to have canned tomatoes and ground turkey on hand anyway so it was a no brainer. 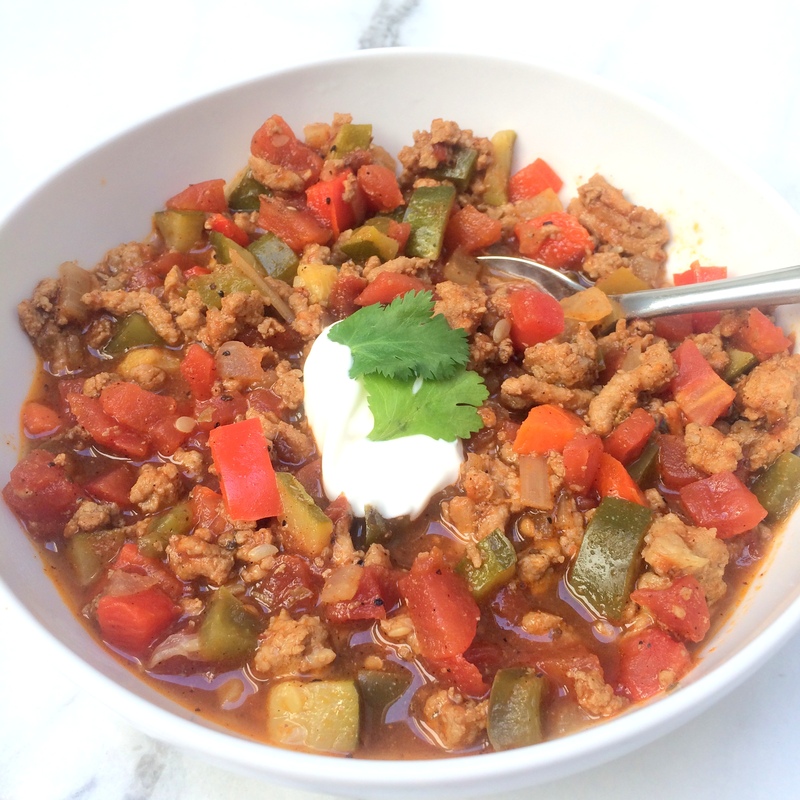 The result is this Chunky Turkey and Veggie Chili. 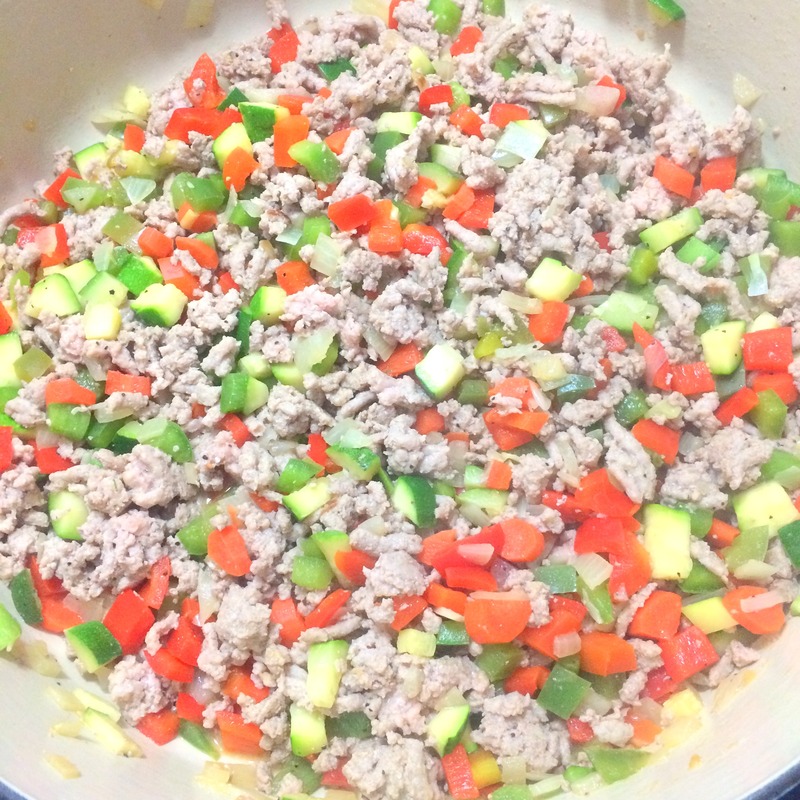 Onion, green pepper, red pepper, zucchini, and carrot are all sautéed with ground turkey until the veggies are soft and the turkey is cooked through. A few spices are added along with canned tomatoes and chipotle in adobo sauce and then the whole pot simmers until the flavors meld and the chili is hot and bubbly. 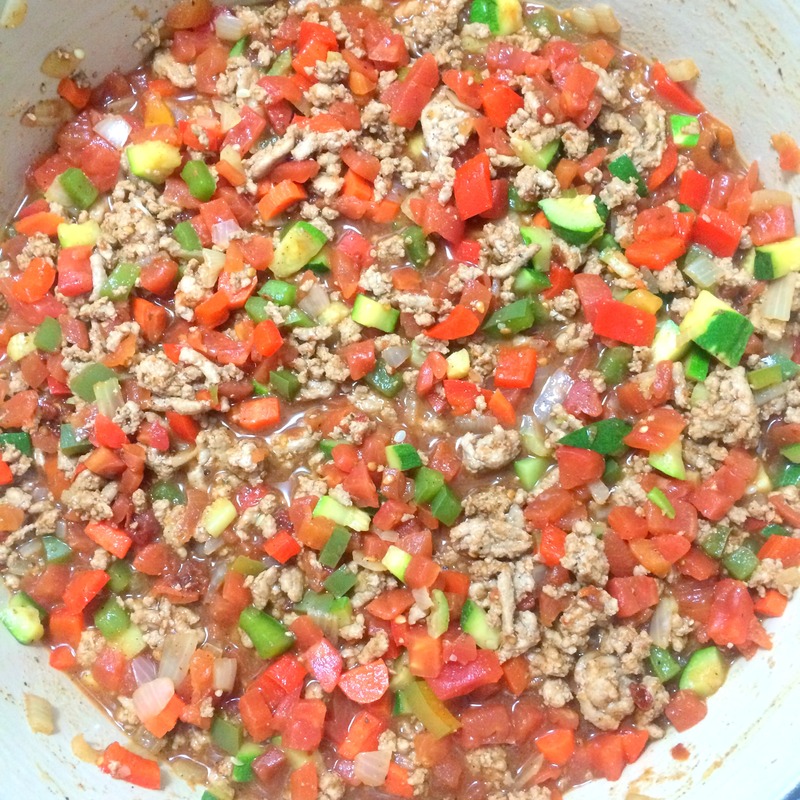 I’ve made this chili with both ground turkey and ground chicken and have no preference. Want to use ground beef? Go right ahead! 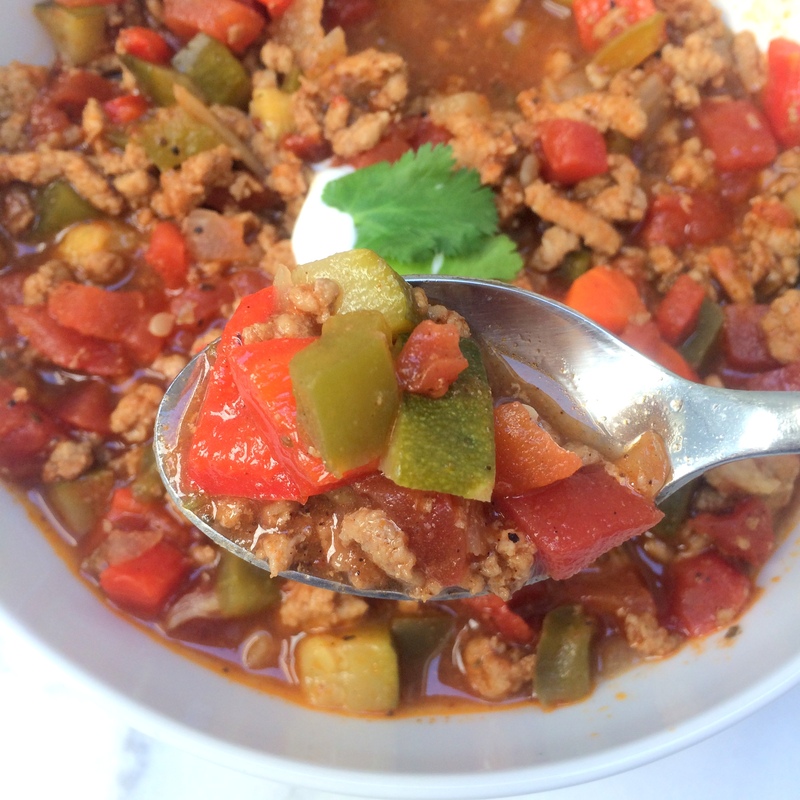 Chili is so easy to make and easily adaptable to accommodate picky eaters. Make it with beans, or don’t. Make it with meat, or don’t. Make it spicy, or don’t. I’ve been making a batch every single week for the last month. I portion it out immediately into containers to keep in the refrigerator so that I can grab one at lunch and heat it up quickly. What I love about chili (especially in the winter) is that it’s satisfying. I’m never let down and always feel warm and comforted when I’m done. Chili, you have my heart. Melt coconut oil in a large pot or Dutch oven over medium-high heat. 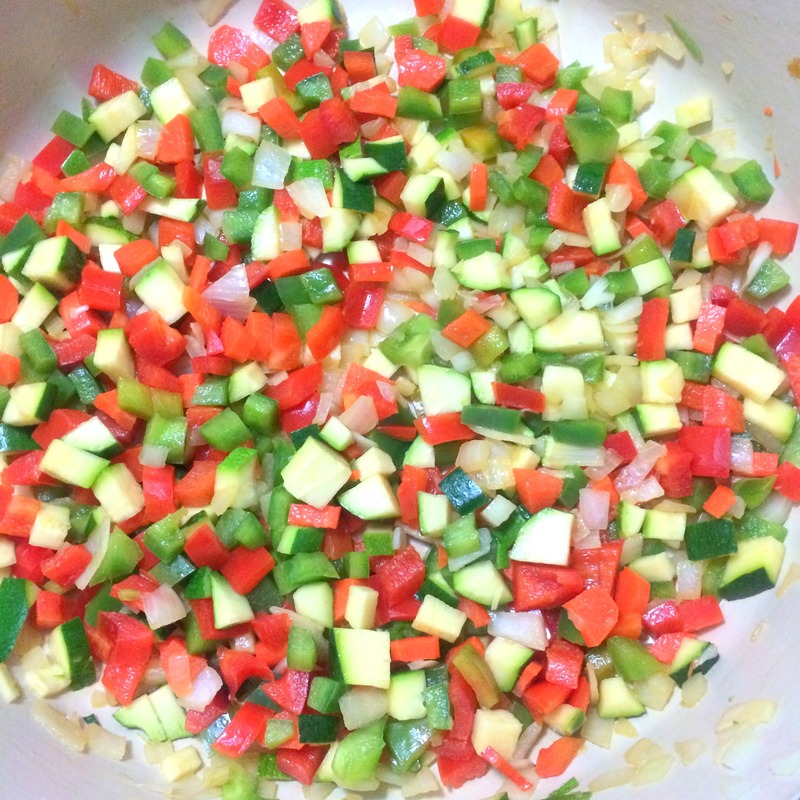 Add onion, green pepper, red pepper, zucchini, and carrot. Cook until vegetables soften, approximately 6 minutes. 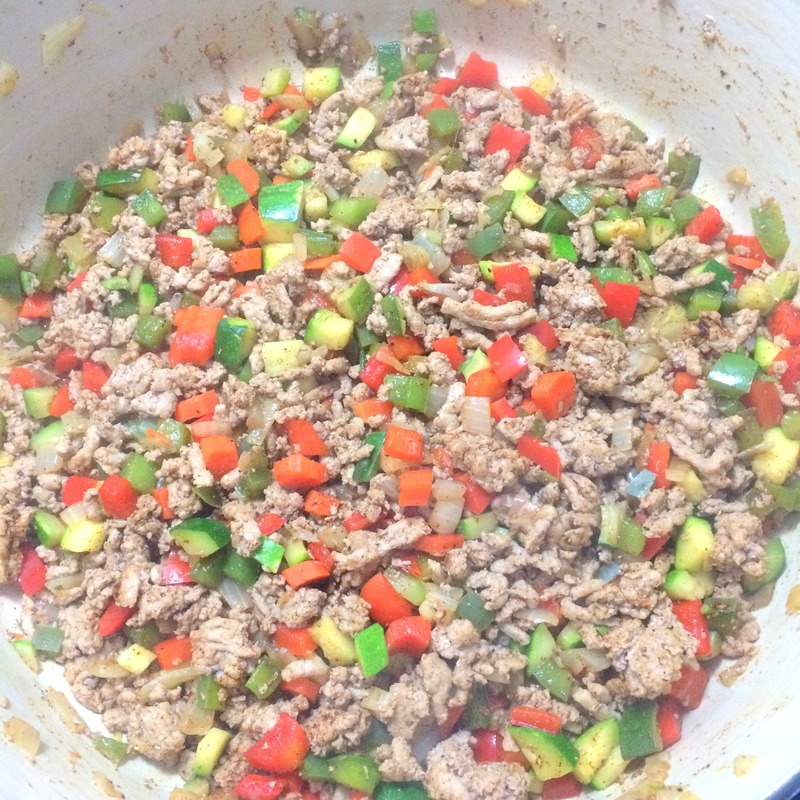 Add ground turkey, salt, and pepper and cook for 10 minutes or until turkey is no longer pink. Stir in chile powder and dried oregano. Add tomatoes and chipotle pepper in adobo sauce; stir. Reduce heat to medium and simmer for 15 minutes, stirring occasionally. Top with sour cream, cilantro, cheese, green onions or any of your favorite chili toppings. 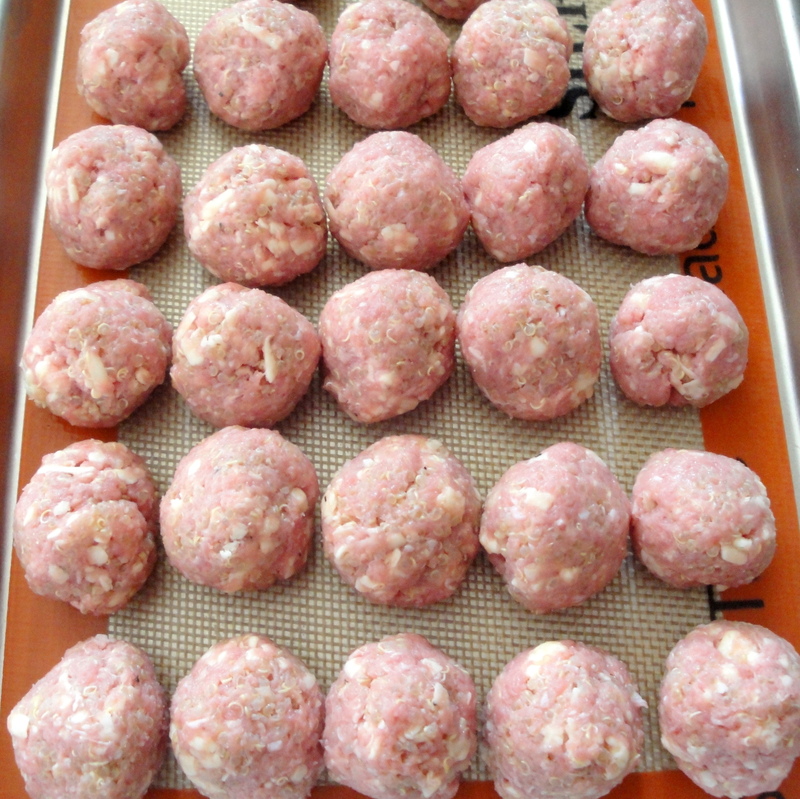 I’m pretty slow to the sausage ball party. I first became aware of these little bites from Trisha Yearwood’s show on Food Network and thought that they would be a perfect little nugget for me considering how much I love sausage (turkey sausage, that is). But since then, I suddenly see sausage balls everywhere – on Pinterest, on the Today show, on my Instagram feed. 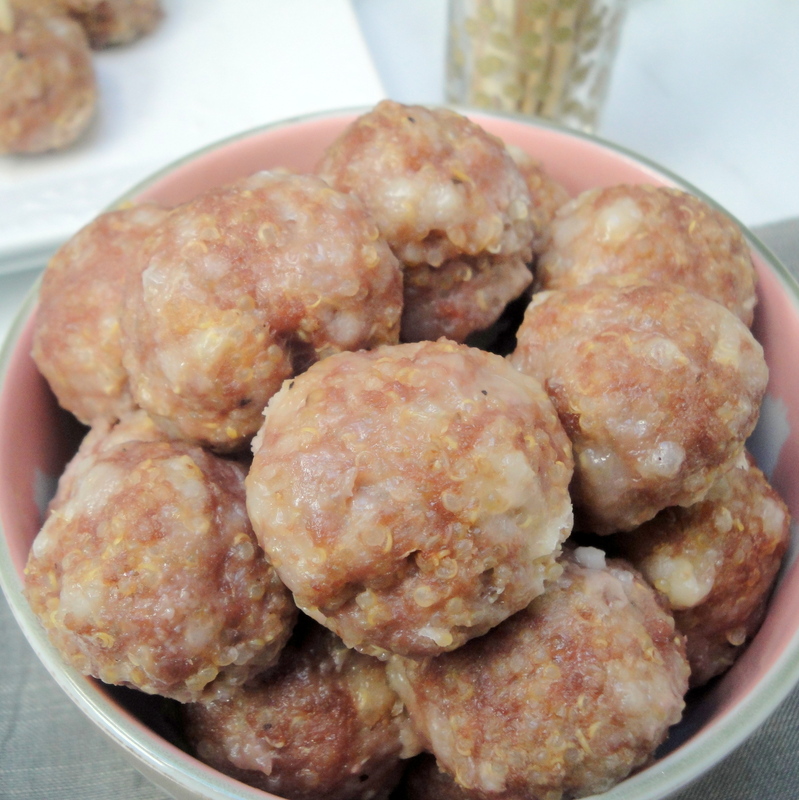 Well, I figured it was high time for me to jump on the bandwagon and I was especially thrilled when I came across this recipe for Cheesy Sausage Balls which has a little different twist than your standard sausage balls. Sausage, cheese, and quinoa make up the base of these bites which are perfect for a Thanksgiving appetizer. Instead of baking mix, these balls have cooked quinoa which is so much healthier than some floury mix. Granted, baking mixes are super simple and easier to throw into a bowl than cooking up a batch of quinoa but it only takes fifteen minutes for quinoa to cook so you can do it ahead of time and still have some leftover for another dish later. Plus, quinoa is so much better for you! 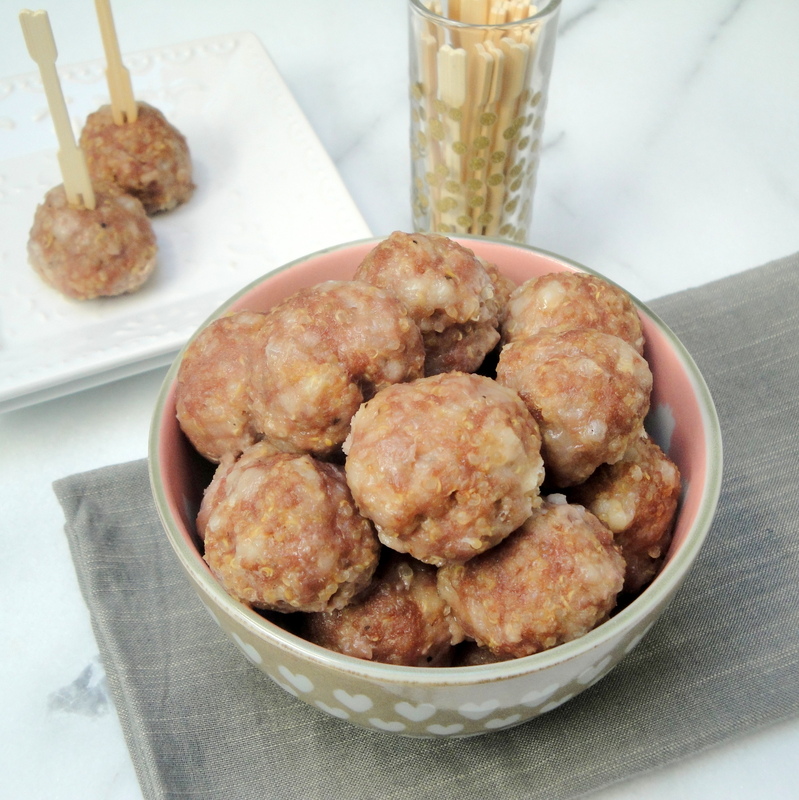 The quinoa actually adds a bit of texture to these sausage balls, a bit of a pop, if you will. I haven’t tried the sausage balls made with baking mix but I don’t think I need to. I’m perfectly happy with these little guys and I bet you will be too! Preheat oven to 375°F. 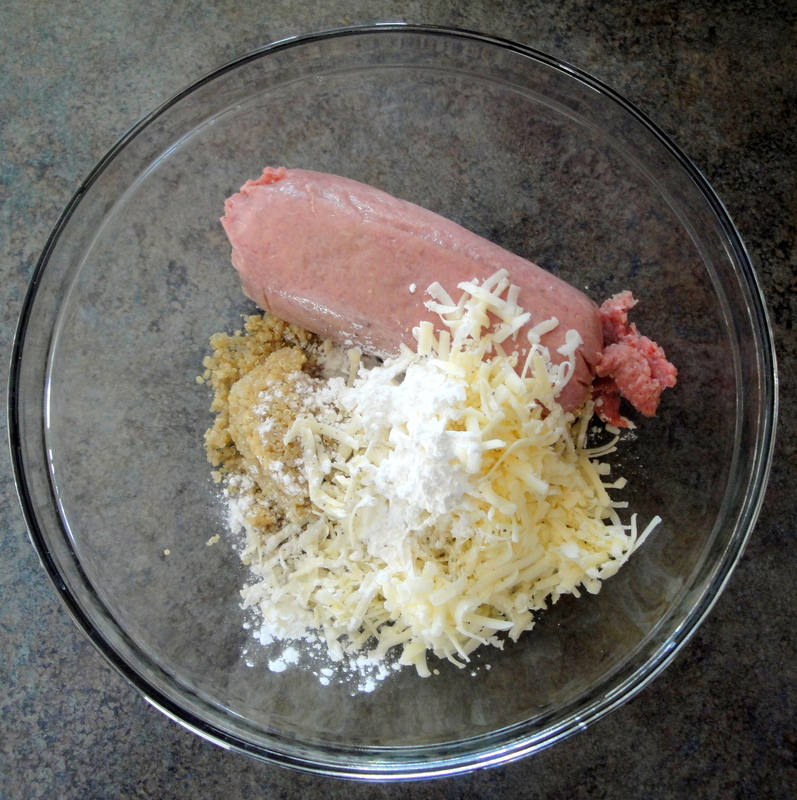 Combine quinoa, cheese, cornstarch, black pepper and sausage in a bowl. Shape mixture into 40 (1 1/2-inch) balls. 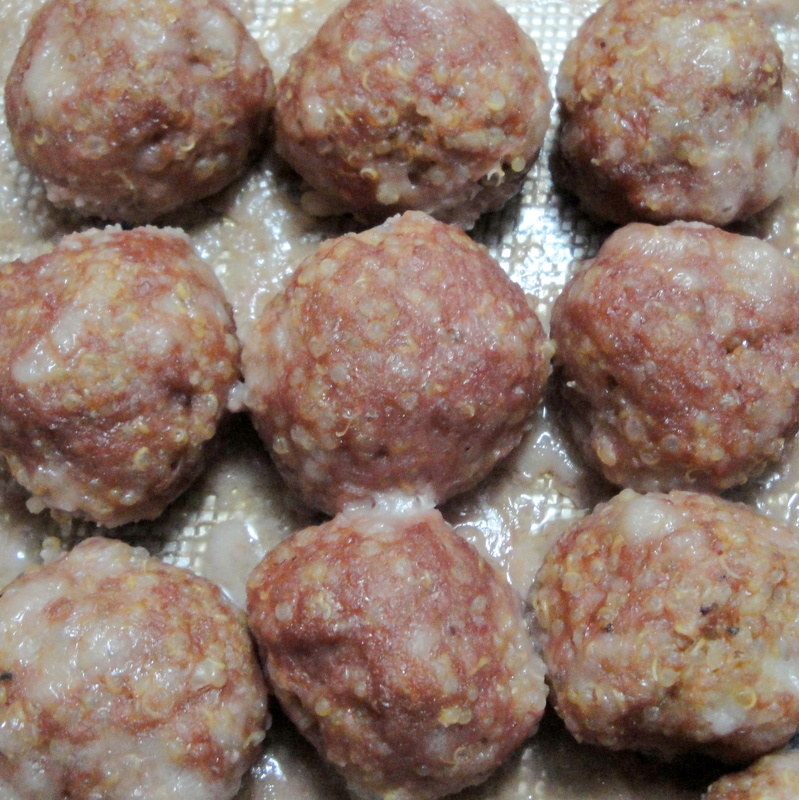 Place balls on a lined baking sheet coated with cooking spray. Bake at 375°F for 18 minutes or until lightly browned and done.